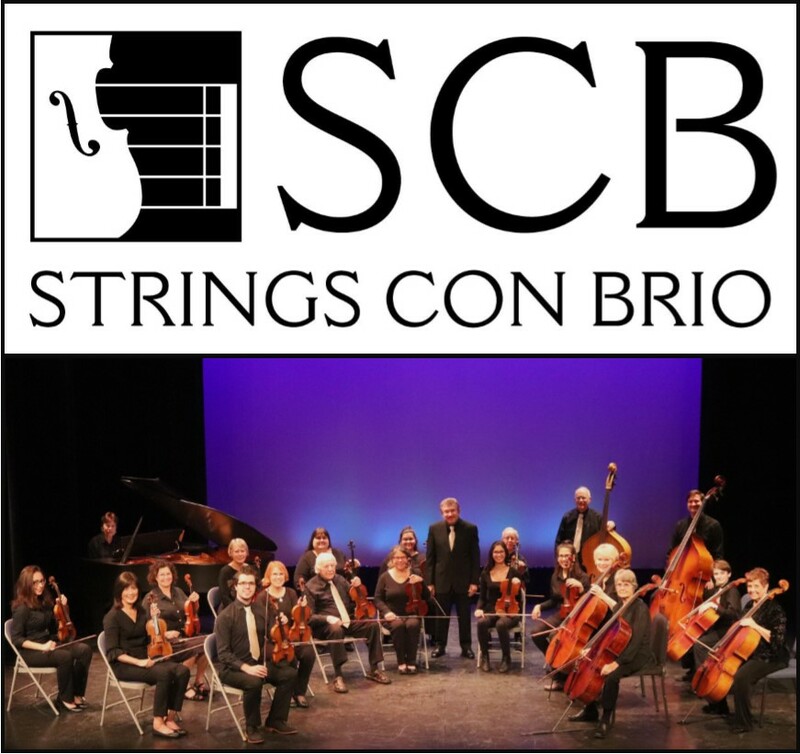 Strings Con Brio (Strings With Vigor), a chamber sized string orchestra, performs repertoire from masterpieces of the Baroque, Classical, and Romantic periods, plus contemporary concert music and well-loved classics from Broadway theatre and cinema. The concert will include music of Handel and Vivaldi, which will transport you back to 18th Century Italy. Patrons will hear the familiar melodies of Mozart's Eine Kleine Nachtmusik and two of Schubert's best known melodies. The program will conclude with a medley of familiar songs from Rodgers and Hammerstein's The King and I, the haunting theme from Schindler's List, music by Andrew Lloyd Webber from his long running musical theatre masterpiece The Phantom of the Opera, and a rousing fiddle tune which will have the audience whistling as they leave. This will be String Con Brio's debut public concert! All seats are the same price no matter where they are in the theatre.